The minute I picked up the Mini Volt by Council of Vapor I knew the Mini Volt was not just a small mod like the new eLeaf iStick Pico. (though the Pico is at least twice the size) The Mini Volt is impossibly small. At just 1.18-inches tall it’s difficult to understand how small it is until you’ve seen one in person. And it’s also impossible not to want one despite its diminutive size. At $44.95 through Element Vape, the Mini Volt is the perfect gift for Vapers that have all the hardware they could want. I hate to say it, but the size of the mod makes it seem like a novelty gift. All it needs is a keychain attached to it. The Mini Volt doesn’t deserve to be called a novelty gift because it can truly perform, but the urge is there. capable of picking up such fine detail, and in the same vein I couldn’t believe the quality of the vape I could get from the Mini Volt and its atomizer, the Mini Vengeance (2mL capacity). I understand the importance of the atomizer, and if you can send up to 40w into one and get good results, that’s all that really counts. Regardless, its still shocking to see, and to taste, what this device can do. compete with much larger setups. It won’t win in a competition with some 200w mod and, say, the Goliath v2, but it is more than capable of satisfying most vapers with flavor and vapor. The limited battery life makes the Mini Volt a terrible all-day-mod, but as a stealthy way vape for short periods of time, it will do very well indeed. 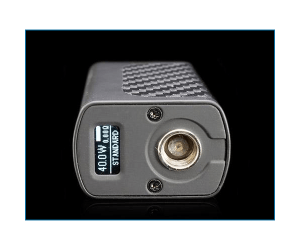 The Council of Vapor Mini Volt 40W Box Mod is, if not the smallest, then one of the smallest mid-wattage devices ever released. 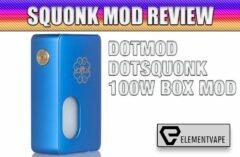 Note* This is not a TC-capable mod, its strictly variable wattage, which means Kanthal A1 or Stainless Steel coil heads only. 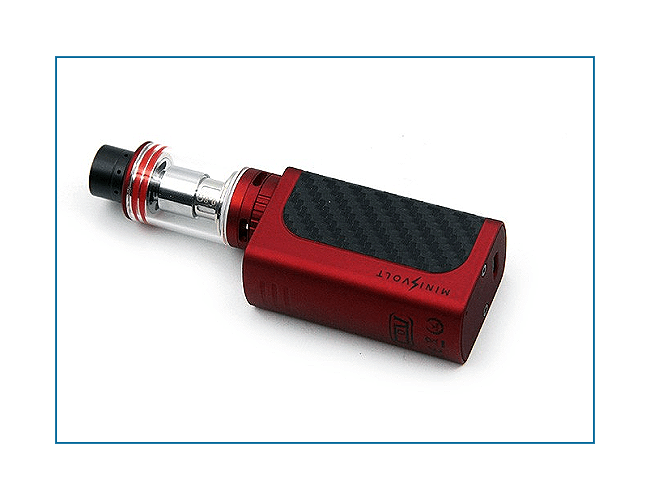 Wattage Range – With 5 to 40W (adjustable in .1-w increments) of output powered by a 1300 mAh LiPo battery, I recommend using the atomizer that comes with the mod. The Mini Vengeance is more or less the same tank as the Defiant by CoV, and performs just as good. Your battery life will be about 90-120 minutes, depending on how much you vape. If you pump out 40w you can expect no more than 90 minutes of vape time, but if you use the Mini Vengeance and the 0.8-ohm coil heads at, say, 25-30w, and vape moderately you can push the vape time to 2-hours. On the upside, the 1300mAh battery recharges fairly quickly. 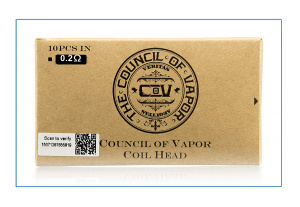 0.8-ohm coil heads of the Mini Vengeance you won’t need to bring the mod down that low, but when using other tanks and coils it could come in handy. Keep in mind that 0.2-ohm resistance requires more power, and with just 1300mAh of LiPo power that’s not enough to last more than an hour. 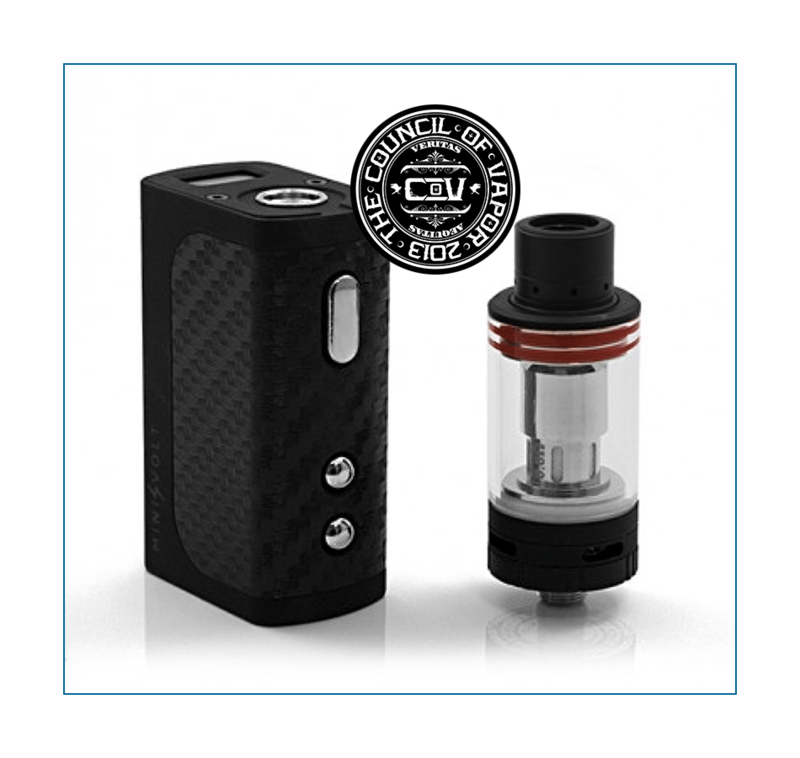 Options – The Mini Volt has three selectable wattage curves, and a bright two-line OLED display. The new chipset in the Mini Volt allows you adjust the power curves for faster ramp up time. The body features a rubberized coating. providing a truly comfortable grip and feel. The carbon fiber accenting provides even more of a stylish look. All of the now-standard safety features are built into the Mini Volt, short circuit protection, over-charge protection, and so on. It may be the smallest mod you’ve ever used, but it’s a safe one. 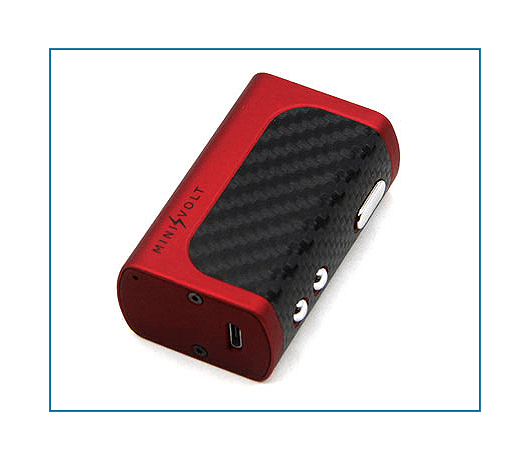 Operating the Mini Volt Box Mod is pretty straightforward, though you will need to read over the short manual, or bookmark this review, whichever is easiest. The bright OLED display is on the top of the Mini Volt, sitting directly beside the 510-connector and the tank. The display shows the battery charge level through a battery icon, the wattage value, ohms’ value, and the ramp up setting. The Mini Volt is a 5-click off/on device. Since the Mini Volt is a wattage-only mod, all you need to do to make adjustments is to hold down the Fire Button and the Plus adjustment button for 3 seconds. You’ll see the tiny display by the tank begin to blink the current wattage value. Using the Plus or Minus adjustment buttons increases or decreases the wattage. 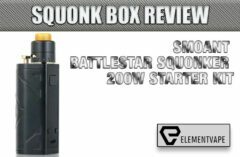 I found 30.0-watts to be a great starting point for fine-tuning the device with Vengeance Mini and the standard 0.9-ohm ceramic coil. setting is a burst of power that happens the moment you press the Fire button. The default setting is “Standard”. If you want a faster ramp up for a coil that would usually need a bit more time to fire up fully, you can set the ramp up mode to “Power”. Using the Vengeance Mini with the standard 0.8-ohm ceramic coil and setting the ramp up to “Power” I noticed a significant speed increase to inhaling warm vapor. Setting the ramp up to “Soft” provided a slightly cooler vapor, but no noticeable difference in ramp up from the “Standard” setting. After a few hours of experimenting I decided to keep the Mini Volt on “Standard”. Charging – Your Mini Volt will probably come with a charge rate of about 75%. You could use it right away, but I recommend a full charge. Your time will vary, but starting from an empty charge it takes about 3 hours to charge. To charge the Mini Volt out of the gate it took about 45 minutes. Luckily the display will tell you that the battery is fully charged, no guessing needed. When the battery voltage drops to 3.3v the display will tell you that the battery is weak, and in need of a recharge. The Vengeance Mini is a very decent tank, though you can instantly tell its not up to the same quality as the Vengeance or Defiant Tanks. 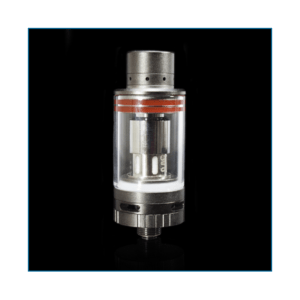 This is a Top-Fill tank – unscrew the Drip Tip to reveal a mesh-like top for filling the tank. Thick, High VG e-juice will take time to fill the small 2mL capacity because the mesh slots are small, often blocking a single drop of thick juice. But, it works, so no real complaints. 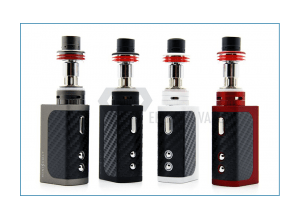 Changing the coil head is a matter of unscrewing the base of the tank, unscrewing the coil head, replacing it, and reattaching the base to the tank. The base contains four (4) airflow slots which allow a good share of air to hit the coils in the coil head, from underneath. The Drip Tip on the Vengeance Mini is a wide-bore tip, Delphin plastic, with a honeycomb mesh to prevent, or minimize, spitback. I experienced no spitback, or even a hot drip tip for that matter, the entire time I used it. I used the Council of Vapor Mini Volt off and on for about a week. I purchased one for myself before getting more because I wanted to be sure that it wasn’t a toy and that it could make for a terrific short-use mod, and the Mini Vengeance would work well with it. I was not disappointed. Using my standard High VG e-liquid at 30w with the 0.8-ohm ceramic coil included in the kit the vapor production was excellent, as was the flavor. I know this e-liquid intimately, and the true flavor shined through and through. it could do with a more powerful tank. Along with the Mini Vengeance I used the Gigue Dolphin, the CoV Phoenix, and the Uwell Zephyrus v2. The performance using these tanks, when set to the max 40w, was pretty good, but short-lived. Except for the Zephyrus v2, which needed more than the 40w. 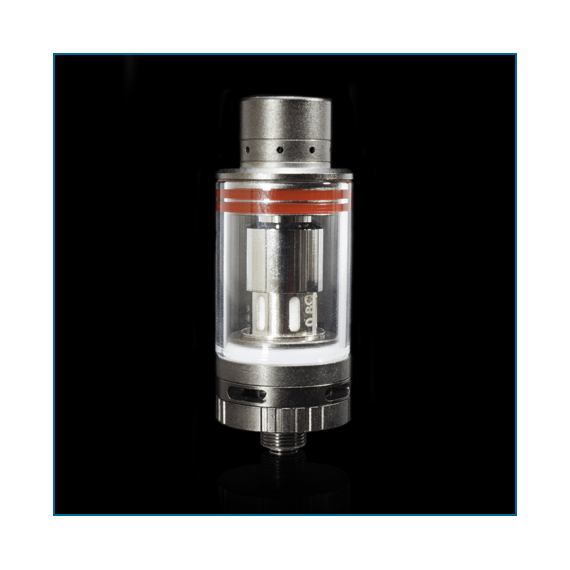 While the performance was good, keep in mind that 40w will not push some of the larger, ultra-low resistance tanks and coils. LiPo’s are great for what they are, but they do deplete faster than the standard 18-series rechargeable batteries. Using tanks with coils at 0.2, 0.3 and 0.4 ohms’ sucked the power too quickly. Now, having said all this, my personal impressions of the Mini Volt are good. 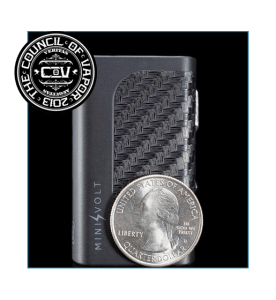 If I had found the Mini Volt in a physical vape shop, I would have purchased it on the spot just because its so small and attractive. For some people, it doesn’t take more than that to want one. For others, I would bet that receiving it as a gift would be the highlight of their day, again because it is a beautiful package. But let’s be real here; the CoV Mini Volt is not going to be a primary device for anybody. It’s an ideal device for driving to and from work, for a walk in the park, or to use while running errands, and even relaxing at home. 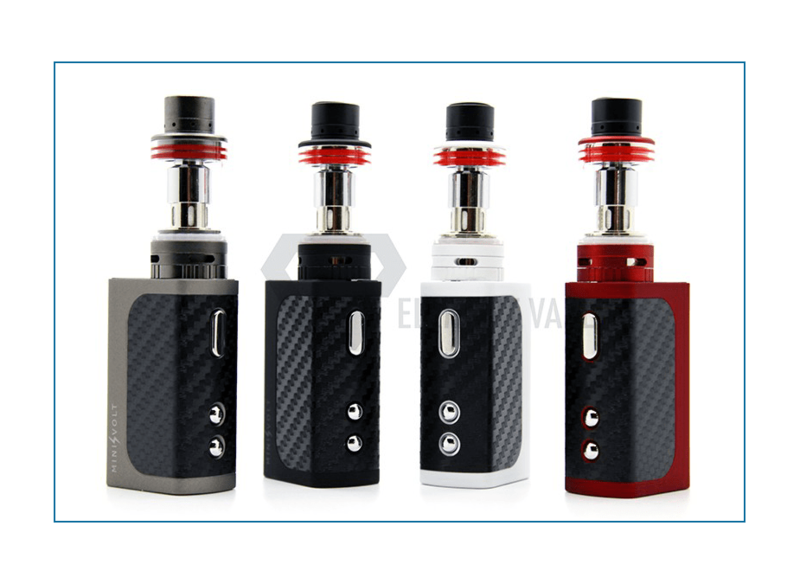 Unlike the eLeaf Pico, with its replaceable 18650 battery, the Mini Volt has limited appeal as a high-performance mod/tank Kit. It simply cannot compete with the likes of the Pico, but then it doesn’t really have to. The Pico is small, very small, but compared to the Mini Volt its gigantic. Once owned I’m willing to bet most people will form an attachment to the Mini Volt, and will protective about it. I should mention the Mini Volt is pass-through capable, so vaping with it while attached to your computer is a great way to vape/charge/enjoy at the same time. Recommendation – A secondary device at most, a treasured novelty at best, the Council of Vapor Mini Volt does provide a great vape for a short period of time. With a fully charged battery I was able to use up almost 25% of the battery life in 15 minutes. At the 30-minute mark the battery displayed about 50%. For that reason, I can only recommend the Mini Volt as a great personal gift to another Vaper, or as a shot travel piece for the car, or on those occasions when you want to pick up the little guy and have a vape. Make no mistake; I love this Mini Volt. I keep it charged and ready to go. I pick it up often, just to play with, and it makes me happy to own one. 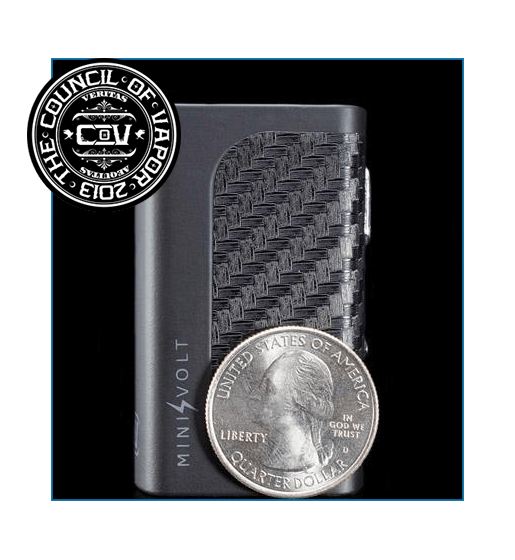 The power of the Mini Volt is in the joy of owning something so small, so attractive, and yet can provide a wicked satisfying vape for a time. If I lost my Mini Volt I would replace it in a heartbeat. I also had to buy one for my wife, a lady that uses the eGo AIO and eLeaf Pico as her primary devices. The first words out of her mouth when she saw one was “I have to have it. Gimme. Now.” The Mini Volt has that power, the power to make Vapers want them, regardless of how long the LiPo battery lasts. Available in Black, Red, White, Gunmetal, and Red. All the current colors look great.